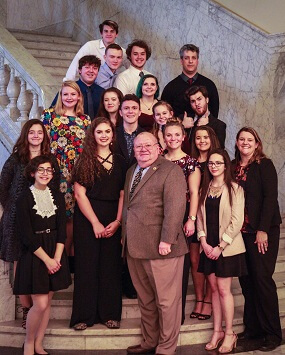 On February 12, 2018, Patuxent High School’s field hockey team and theater group called the Harlequins, were recognized in the House of Delegates by Delegate Jerry Clark. 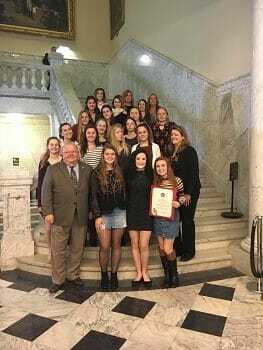 The field hockey team, led by head coach Lynn Powell, was recognized for perusing and achieving the rank of 2017 Maryland State 1A Field Hockey Champions. 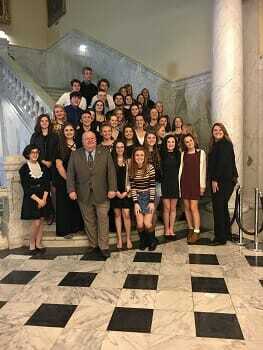 The Harlequins, led by Allen Price, competed for and won the title of 2018 Maryland Thespian State Champions. Each group was presented a House of Delegates Resolution to recognize their achievements. Both teams were accompanied by Patuxent High School’s Principal, Sabrina Bergen.